According to the U.S. Environmental Protection Agency (EPA), plastics comprise 12% of municipal solid waste, with containers and packaging making up the largest part of that percentage. Over 1,600 businesses are involved in recycling post-consumer plastics. Plastic bags and other plastic garbage thrown into the ocean kill as many as 1,000,000 sea creatures a year! Ever heard of the Great Pacific Garbage Patch? It’s twice the size of Texas and is floating somewhere between San Francisco and Hawaii. It’s also 80 percent plastic, and weighs in at 3.5 million tons. Only 13.3% of plastic packaging was recycled in 2008. For every 1 ton of plastic that is recycled we save the equivalent of 2 people’s energy use for 1 year, the amount of water used by 1 person in 2 month’s time and almost 2000 pounds of oil. At iSustain we are doing our part to improve the reuse of industrial scrap plastic. iSustain handles thousands of tons per month of plastic recycling material for our manufacturing and industrial vendors. We provide value to our suppliers by developing solutions or increased value to plastic recycling material. Working together with your team, we find solutions to your plastic scrap waste stream problems. Our goal is to divert plastic waste from expensive landfills. Often the scrap plastic has enough value we can pay you for it — replacing an expense with revenue. 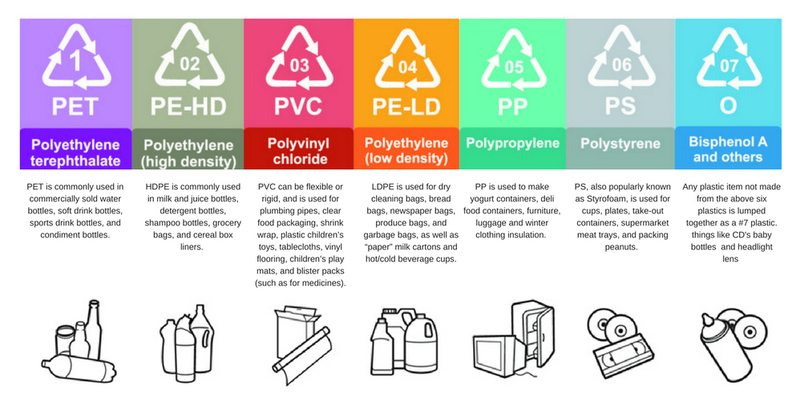 While not all plastic materials contain resin codes, these materials can still be recycled if they are collected by polymer type. If you don’t know the polymer type but have a large quantity of a specific plastic item you want to recycle, please contact us to help you identify. At iSustain we are recognized providers of full service plastic recycling, with capabilities to process all forms of plastic resins. We specialize in creating customized recycling programs for clients interested in maximized scrap value and environmental responsibility. We offer a comprehensive selection of services including the large volume buying and selling of plastic, warehousing and storage, and transportation. Comprehensive recycling programs that handle all forms and grades of your scrap plastic. Free installation options for your waste collection equipment, including balers, compactors, and air collection systems. In-house dispatch and transportation team that allows us to provide the exceptional service and quick pickup that you need to get rid of your unwanted waste. Upgrade the value of difficult items or plastics for reuse applications. At iSustain, we are a full service recycling and waste company with one goal in mind, help our clients reduce costs and eliminate landfill. Whether your company is purchasing recycling equipment for the first time, or if this additional equipment, iSustain can tailor a solution to your unique situation.